Transparency for your entire compressed air system with digital technologies and sensors. How well do you know your compressed air process? 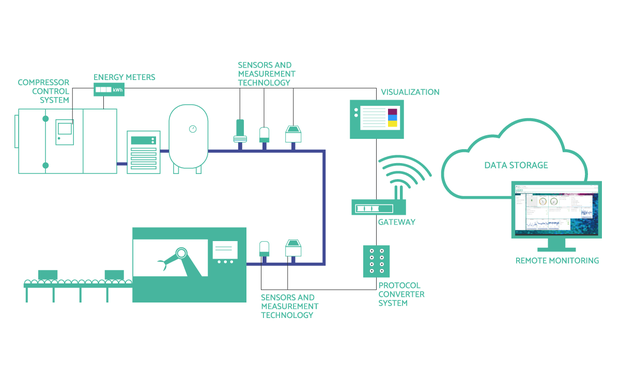 By networking your compressed air system, Industry 4.0 enables previously unknown but valuable readings directly from producers and consumers to be made tangible. Special sensors and measured value analyzes support you in the optimal and energy-efficient use of compressed air. 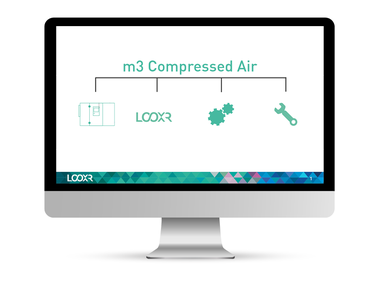 Experience in a personal product demo how LOOXR compressed air 4.0 makes the compressed air process more reliable, easier to plan and more transparent. Monitor compressed air. Optimize. Working predictive. Digital measuring technology and sensors record all relevant data of the complete compressed air process in real time. With that being said, a permanent monitoring is possible. 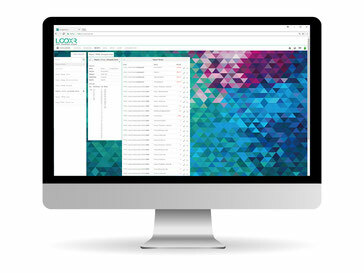 Using a browser-based dashboard, all measured values can be accessed at any time. 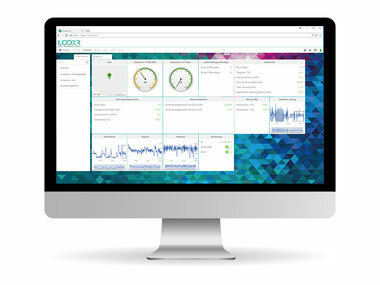 Permanent monitoring identifies early signs of wear of the compressed air components and faults within the compressed air preparation process. Due to actual measured values, possible downtimes are detected prematurely and can be prevented immediately. Alarm functions inform and warn immediately in case of malfunctions and anomalies. Pending service assignments are determined automatically. Only pay for the actual compressed air required - depending on the actual consumption. Billing takes place per used m3 - maintenance, repair, insurance and components are included. Experience a new form of energy supply that adapts to any change in your needs. Increase the security of supply of your compressed air system and create liquidity for other core tasks. Side effect: Cost reduction through various optimization measures, such as pressure reduction and leakage elimination. The compressed air consumption drops and there are less costs. Support for your management systems. Energy consumption and costs are recorded and documented via the portal. Individual reports for different users provide the appropriate information. 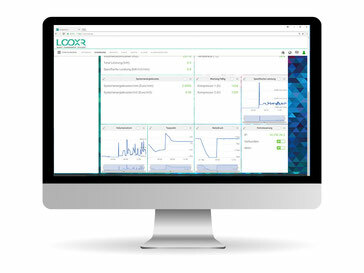 The LOOXR solution can be integrated into your existing energy management systems quickly and easily. The data collected by producers and consumers is automatically structured. Through evaluations and comparisons direct communication between compressed air consumers and generators is possible, so that relevant results on the degree of efficiency, efficiency and faults can be obtained from real measured values over any period of time. 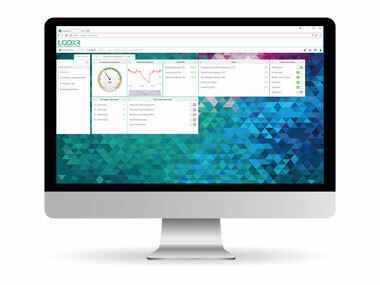 Analytics ensures planning reliability, gives you control over costs and reveals optimization opportunities. 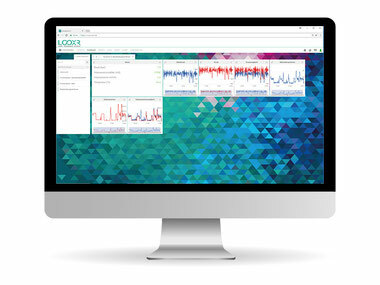 Target/actual analysis for specific performance, consumption, compressors and end users. Analysis of the most efficient compressed air system size or size according to demand. Analysis of consumption fluctuations to avoid peak loads. By comparing all measured data with different empirical values, simulations can be generated. The simulation can be used to determine, whether changes in the compressed air system are worthwhile. This makes it possible to make clear statements about measures to optimize the compressed air station.